6-4PP ELISA for Intact Cells | Cell Biolabs, Inc.
Our OxiSelect™ Cellular UV-Induced DNA Damage ELISA Kit measures the formation of 6-4PP in intact cells in a 96-well ELISA plate-based format. Cells are first seeded in a 96-well tissue culture plate. Wells are then UV irradiated to induce DNA damage. After fixation and denaturation, cells containing the DNA lesions are probed with an anti-6-4PP antibody, followed by an HRP conjugated secondary antibody. 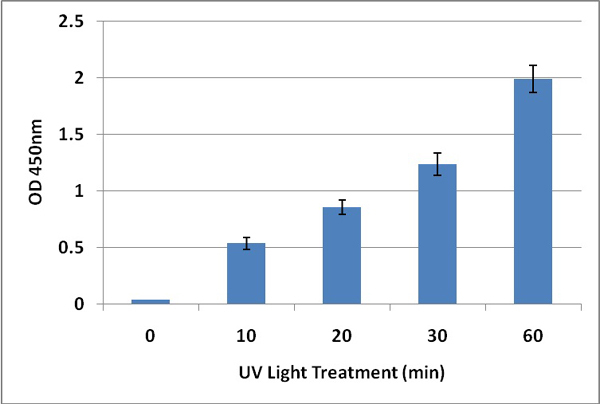 Figure 1: DNA Damage Induced by UV Light. Calf thymus DNA at 0.2 mg/mL was exposed to UV light inside a cell culture hood for the time indicated. The CPD levels in 40 ng denatured DNA samples were determined as described in the Assay Protocol for #STA-322. 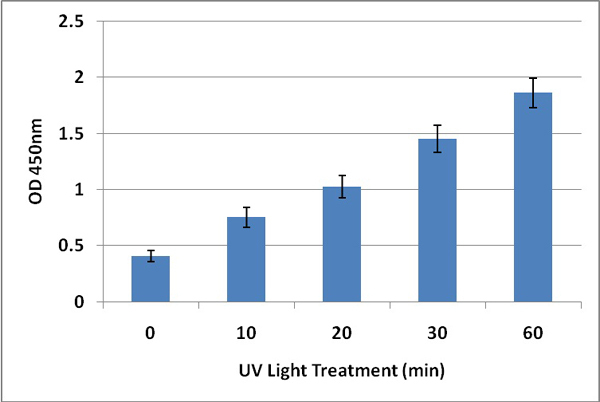 Figure 2: DNA Damage Induced by UV Light. Calf thymus DNA at 0.2 mg/mL was exposed to UV light inside a cell culture hood for the time indicated. The 6-4PP levels in 40 ng denatured DNA samples were determined as described in the Assay Protocol for #STA-323. Figure 3: DNA Damage Induced by UV Light in Hela Cells. HeLa cells were seeded at 20K/well overnight, then exposed to light under a germicidal lamp for 30 minutes. Immunofluorescence staining of CPD damage was determined as described in the Assay Protocol for #STA-327. 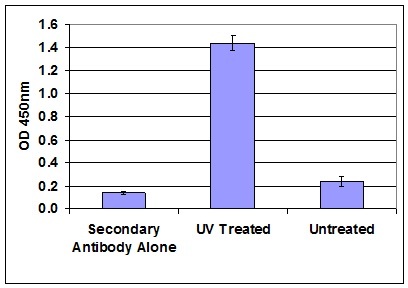 Figure 4: DNA Damage Induced by UV Light in NIH3T3 Cells. NIH3T3 cells were seeded at 20K/well overnight, then exposed to light under a germicidal lamp for 30 minutes. Relative 6-4PP damage was determined as described in the Assay Protocol for #STA-328. Kuschal, C. et al. (2013). Repair of UV Photolesions in Xeroderma Pigmentosum Group C Cells Induced by Translational Readthrough of Premature Termination Codons. PNAS. 110:19483-19488.